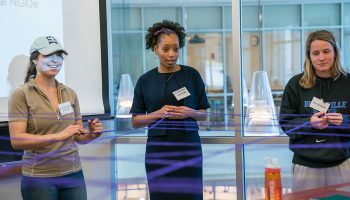 Liu, biology professor Engda Hagos, and Stephen La Rosa ’13 received a grant from the Picker Interdisciplinary Science Institute at Colgate. Hagos noted Liu’s accomplishment of being the first author on the Molecular Carcinogenesis paper. 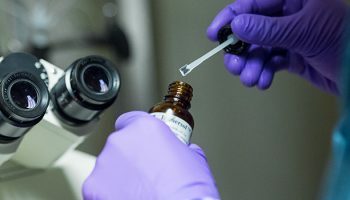 “In this field, it takes at least two or three, sometimes four years to publish one paper — it’s not easy,” he said. For that work, Liu was also one of 10 students nationwide awarded a Meritorious Honor at the ninth annual Undergraduate Students Caucus and Poster Competition of the American Association for Cancer Research. Liu said making new discoveries is “kind of like uncovering a secret, a treasure, that only you know.” She just spent her third summer in a row working with Hagos on campus. Under his mentorship, she and two other students, Margaret Wolsey ’17 and Matt Szuchnicki ’15, studied autophagy, a process by which a cell eats itself so that it can recycle its nutrients. This process has been implicated in many human diseases, including cancer. This semester, Liu went straight from the lab at Colgate to the world-renowned campus of the National Institutes of Health in Bethesda, Md. As part of Colgate’s NIH Study Group, she is taking classes and studying cancer cell multidrug resistance in an NIH laboratory. The journey came together in the way the best pilgrimages do. 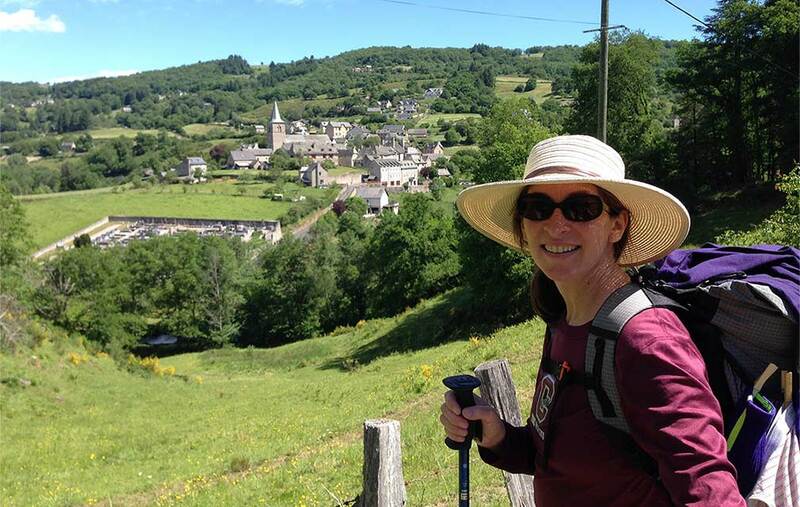 While collaborating on History 333: The Medieval Church, Professor Alan Cooper and University Chaplain Mark Shiner had the idea to enhance future iterations of the course with a hike on the Camino de Santiago, a pilgrimage route that first reached popularity during the Middle Ages. The 1,200-year-old route in Spain and France drew some 200,000 religious and secular visitors last year. Cooper and Shiner shared their idea with Elizabeth Marlowe, a medievalist in art history for whom walking the iconic trail had been a longtime dream. 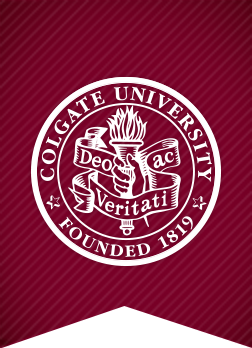 With support from Colgate’s Kallgren Fund for faculty development, an interdisciplinary group including Doug Hicks (provost and dean of the faculty, religion), Antonio Barrera (history, Africana and Latin American studies), and Pilar Mejia (Spanish), signed on. For expertise on the physical aspects of the 11-day, 140-mile trek, they invited outdoor education director Abby Rowe, who had been seeking ways to bridge academic and nonacademic environmental travel for students. The trekkers shared their online photos, videos, and posts through Facebook and a GPS tracker. Back on campus, at a brown bag luncheon, they compared medieval and contemporary international pilgrimage experiences from spiritual, historical, architectural, social, and cultural perspectives. 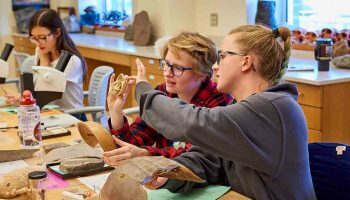 Brett Christensen ’16 dove into biomineralization in barnacles, which is the process by which the little organisms form their hard exterior. He grew and observed barnacles in the lab of Rebecca Metzler (physics and astronomy). During the process, the barnacles form an exoskeleton from minerals that typically make up rocks, like calcium. How the barnacles succeed in making their outer shell is not well understood, but Christensen’s research pinpointed the period of time when the organisms form their exteriors. Understanding how this process works in barnacles could shed light on bone formation in humans, which is also a product of biomineralization. An 8th-century Indian temple was the focus for Shan Wu ’15. She studied the architecture of Kailasanatha temple, located in Kanchipuram, assisting Padma Kaimal (art and art history) with her book manuscript Many Paths to the Divine. Wu focused on Kaimal’s chapter examining the narrative sculptures and inscriptions on the temple walls. Illustrations and plates that Wu designed will facilitate the reader’s understanding of how people experience the temple. 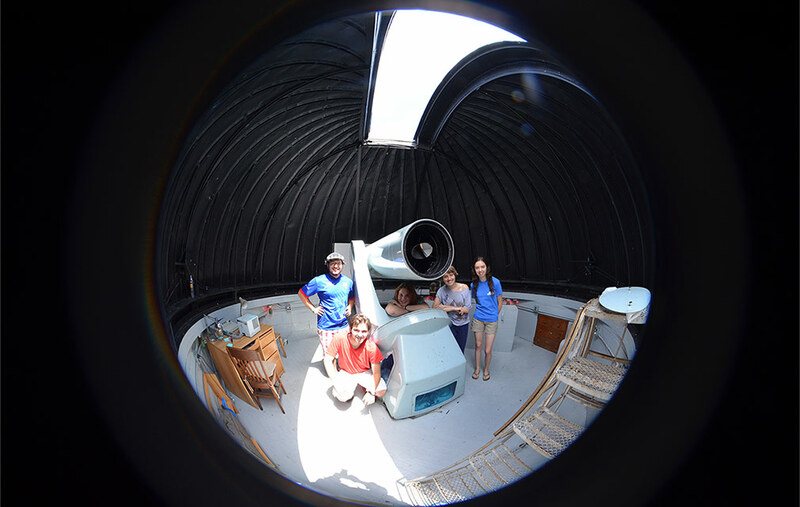 In Colgate’s Foggy Bottom Observatory, astrogeophysics major Katie Karns ’17 collected data on the variability of brightness in quasars, which are supermassive black holes. “They are also some of the most distant and brightest objects we have seen in the universe, which makes them useful for helping scientists learn about the early universe,” she explained. Using a 16-inch telescope and specialized camera, Karns and her research partner from Williams College took images of the quasar BL Lacertae, extracting data on its brightness from the images. Karns was one of four Colgate students working with Tom Balonek (physics and astronomy). Discussing social justice is not what most elementary school students do during summer vacation — but that’s just what eight children did thanks to the efforts of Emily Luba ’16. She created Social Justice Through Creative Writing, a weeklong workshop, as part of the Hamilton Center for the Arts camp. A creative writing tutor at Hamilton Central School, she organized the workshop with assistance from James Mitchell ’16 and Hamilton Central student Molly Stahl. Surrounded by walls full of art, the students watched videos like Kid President’s monologue How to Change the World, discussed a daily topic — such as human rights, war, poverty and food insecurity, and activism — listened to books read aloud by Luba, and did planned activities and games. The second half of each session was devoted to a creative writing prompt related to the topic. A peace and conflict studies and geography double major, Luba developed the idea during the school year. 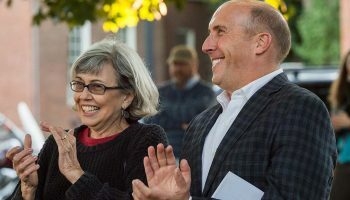 It was one of three summer projects she juggled; she also worked through the Upstate Institute Summer Field School at the nonprofits Waterville First and Horned Dorset Colony. The young students latched on to the difficult material. “It is a polluted world,” exclaimed Elijah Meyers, who said he now plans to stop polluting. 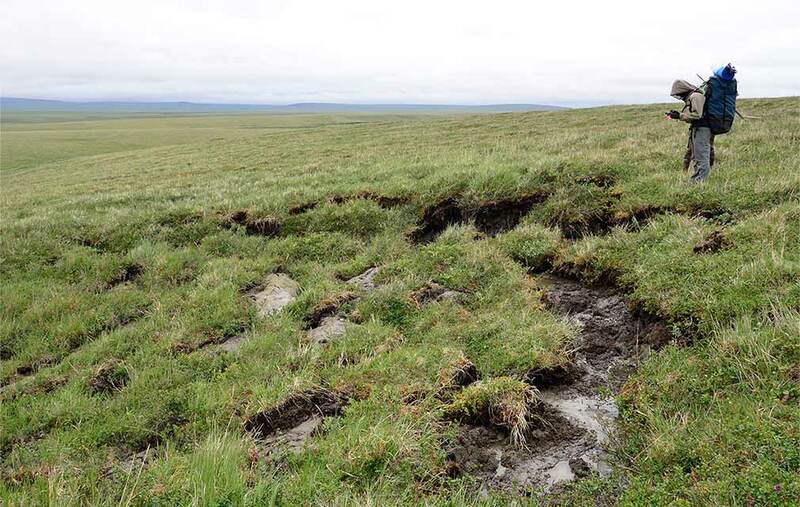 his students will continue their research on permafrost in Siberia (pictured here) and Alaska. Professors researching a wide array of subjects — from privacy software to fieldwork in the Galapagos — recently received National Science Foundation grant awards totaling $1,328,055. On to the Galapagos Islands, Karen Harpp (geology) will do fieldwork to better understand the way volcanic islands evolve. She and her students plan to document the history of the archipelago’s three oldest volcanoes, which together record almost three million years of the mantle plume’s history. The research is “relevant to ongoing conservation and preservation efforts at oceanic archipelagos worldwide,” explained Harpp. Heading north, Michael Loranty (geography) will study the influence of vegetation on temperatures in permanently frozen Arctic soils, called permafrost. “As these soils thaw, they release carbon to the atmosphere, which will enhance climate warming,” he explained. Over the next few summers, Loranty and his students will be conducting fieldwork throughout Alaska and Siberia along with colleagues from the Woods Hole Research Center and University of Alaska. “Our ultimate goal is to help inform climate models and policy,” he said. Congratulations to these faculty members for their new appointments, which became effective in July. Promotion to full professor: David Dudrick (philosophy) focuses on continental philosophy and the philosophy of religion. DeWitt Godfrey (art and art history) specializes in sculpture and public art. Barbara Hoopes (biology) studies the control of gene expression and complex traits in eukaryotes, specifically in the purebred dog Canis Familiaris. Timothy McCay (biology and environmental studies) researches the forest-floor ecosystem and conservation biology. Emilio Spadola (sociology and anthropology) was given continuous tenure and promotion to associate professor. He focuses on the anthropology of the Muslim world and recently authored The Calls of Islam: Sufis, Islamists, and Mass Mediation in Urban Morocco. Debbie Krahmer, also a learning commons librarian, was promoted to associate professor in the University Libraries. It takes you about 27 milliseconds (or less) — approximately one-tenth of the time it takes to blink your eyes — to comprehend the meaning, or “gist,” of a scene. Recently published research findings about “scene gist categorization” by Bruce Hansen, associate professor of psychology and neuroscience, and psychologists at Kansas State University are significant for a number of human experiences. “Deriving an accurate understanding of rapid scene categorization has critical implications for driving safety and instrument panel design for aircraft piloting, as well as eyewitness perception and memory, and surveillance — to name a few,” Hansen said. 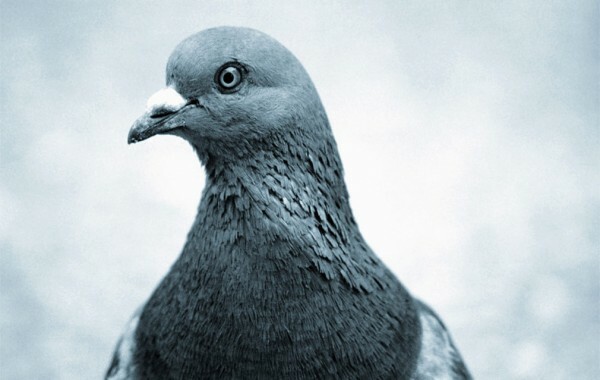 They turned to pigeons, a popular nonhuman model of visual cognition. Although humans failed to gain the ability to fly, we do share an evolutionary structure with pigeons; the two species diverged during the early Permian period, explained Hansen. In two experiments, they assessed whether scene gist processing is an ability unique to humans, or whether it is more basic, deeply engrained in our neural hardware. They also investigated the extent to which the ability is shared across a wide range of species. Using pigeons that had never experienced flight, the researchers showed them ground views, bird’s-eye views, and satellite views. The pigeons excelled at bird’s-eye views and satellite views. “Our study shows that pigeons appear to make use of the same low-level visual features of scenes as humans, but make more effective use of those features for bird’s-eye and satellite views compared to terrestrial views,” said Hansen. The study suggests that pigeons have the same ability as humans to recognize a scene in the blink of an eye — with one variance. Pigeons blink more slowly than humans do, so they actually take about 10 times longer to correctly identify a scene. We may not be able to fly, but at least we can assess a scene faster than pigeons. “The shared functional capacity to rapidly categorize real-world scenes may well be shared across a wide range of species,” Hansen explained. But, he said, the past evolution of a species affects how it can recognize the meaning of a scene. The findings point to further research possibilities, such as helping us to understand how much genetic predisposition versus personal experience contributes to a person’s (and a wider variety of animals’) ability to quickly recognize scene information. Hansen and his fellow researchers published “Scene Gist Categorization by Pigeons” in the Journal of Experimental Psychology: Animal Learning and Cognition. traveled to Korea’s Demilitarized Zone over the summer. Standing in Korea’s Demilitarized Zone (DMZ), surrounded by fenced-in land mine fields juxtaposed with sundry tourist booths, I was shocked as I considered the countless human rights violations occurring only a few miles away in North Korea. 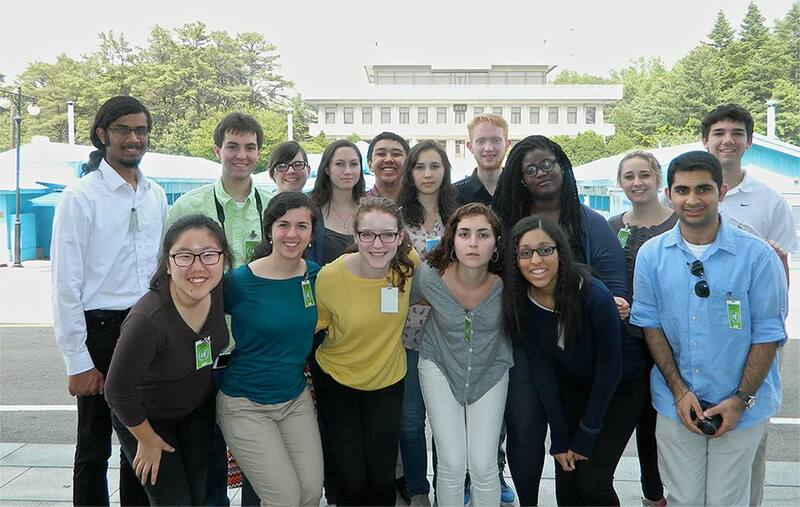 I had the opportunity to step foot in North Korea this summer through the Benton Scholars Program. 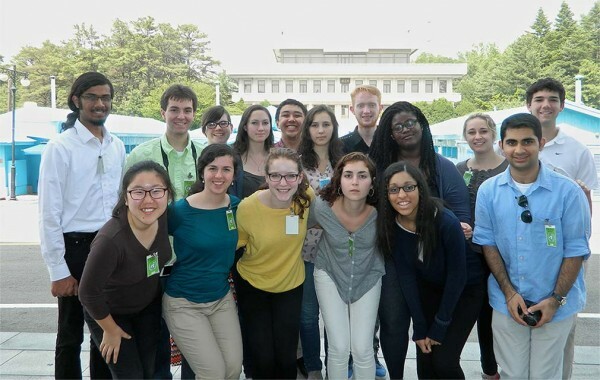 Along with 15 other students, I took Core: Korea with Professor John Palmer last spring, and at the end of May, we traveled to South and North Korea. We traversed Korea’s diverse landscape, from the city of Seoul to the rural expanses and seaside. On a day trip to the DMZ, we spent exactly five minutes in a United Nations building on the military demarcation line that serves as a negotiation spot for the two countries. The building was surrounded by tourists lining up to buy souvenirs like shot glasses, jewelry, and snacks from the shops. I was unnerved that the DMZ has been made into a spectacle that distracts more than it educates visitors about North Korea. My disbelief grew as we were taken to three movie theaters where we watched films about the biodiversity and history of the region and military strategies. With all of the distractions, very little attention was given to the human rights abuses happening nearby that we had learned about through readings and in class. We then met with Hwang Seunghee, of the South Korean Ministry of Unification, who supplemented conversations that we’d had in class about the realities facing North Korean refugees and the possibility and potential outcomes of a unification between the two Koreas. We had also learned about the drastically different lifestyles in the two countries, which have been divided for 64 years. Although the North Korean people are essentially shut off from international society, our class learned about their situation from information gathered by the United Nations, refugees, satellite images, and occasionally approved international visitors to the country. The majority of North Koreans are starving and are denied adequate health care, due process, freedom of expression, and the freedom to move within and outside of the country. Their government places people in work camps, where they are abused, tortured, and often worked to death, for arbitrary reasons. Many South Koreans in Seoul — who live only 40 miles from Pyongyang, North Korea’s capital — know little about the situation in North Korea. That lack of awareness made me re-examine my own awareness about social-justice issues in New York state and, more broadly, in the United States. I’ve also realized how my own background has placed me in a privileged position, enabling me to be a Benton Scholar, to have the resources to take Core: Korea, and to travel there. Those five minutes in the DMZ are a small but significant portion of my so-far unforgettable experience in the Benton Scholars Program, which is designed to infuse leadership, community, and global themes into the Colgate experience. In just the first year, the program’s small community has helped to shape how I understand my surroundings — as well as how I want to explore methods of building awareness and action. 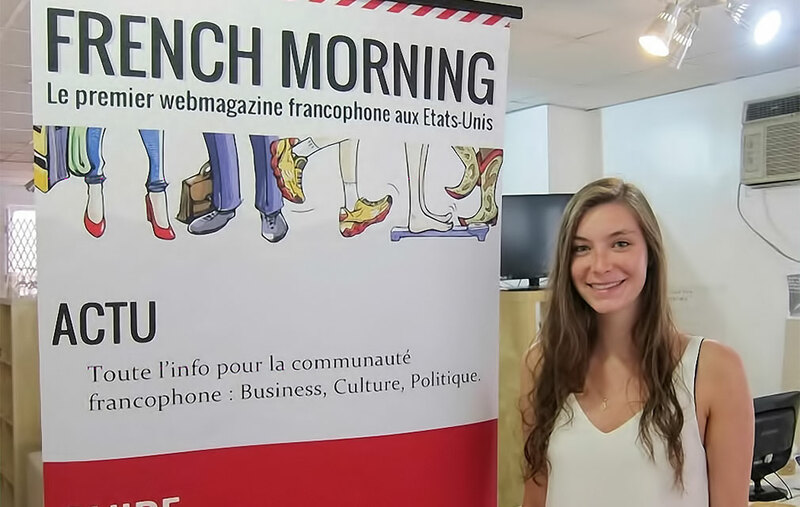 This past summer, I interned as a journalist at the digital magazine French Morning. 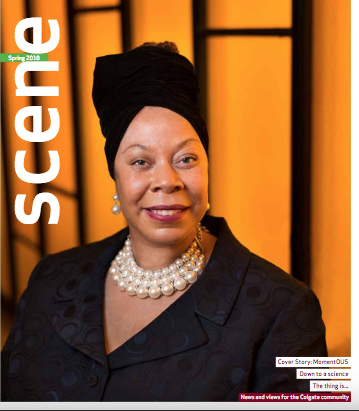 The magazine serves as a news outlet for the French community living in New York City, and it comes in other editions for communities in cities like Los Angeles and Miami. A French-language publication, it also includes an English translation for American Francophiles. I wrote stories in both French and English, based on my interviews with many people — museum curators, chefs, web designers — whose enthusiasm about their work was contagious. In my articles, I aspired to highlight people’s ability to innovate and their motivation to create a better world. For example, I wrote about a digital advertising consultant who created an app to expose children to more art. I also translated articles from French to English and vice versa, and launched and managed social media pages. I gained valuable journalism skills such as brainstorming story ideas for specific audiences, tailoring my writing style to match the subject of the article, and getting compelling material from interviews. Above all, I developed a nuanced understanding of the complexities of both translation and the French language. My experience at French Morning helped me realize that I want to explore the possibility of a career that revolves around writing, perhaps journalism or publishing. From French to anthropology, my widespread academic interests span a number of different fields within the humanities. And from what I’ve learned this summer, that’s precisely what journalism is: writing about humanity. Course goals: This course explores the moral principles that apply in the global realm. Some of these have been long discussed: What are the constraints on how warfare may be carried out? May nations intervene in the affairs of others, and if so, when? Others are more recent: What are the duties of rich nations to poor ones? What is the moral significance of nationality? Do all people have human rights, and if so, what are they? The class aims to increase understanding of the range of plausible views on such questions and to help identify the most compelling position.